When you’re planning a party, you have a long list of to-dos running through your head just about all the time. This is even more true when the party you’re planning is your own wedding. From flower arrangements to caterers, and dresses to table settings, there is a seemingly endless array of choices that you will have to make to ensure that your big day is everything you’ve dreamed it would be. Cost savings: Since so many weddings take place later in the afternoon or during the evening, many vendors and venues offer pricing discounts for morning weddings. You can also enjoy additional cost savings because the menus for breakfasts and brunches tend to be much less expensive than dinner menus. Unique food options: Many dinner options at weddings are predictable, and potentially even tired. A waffle bar, on the other hand, is anything but! You can serve up elegant brunch options or lay out a buffet-style spread with sweet and savory breakfast staples. As a nice added touch, consider a coffee bar or even hire a barista in lieu of having a traditional bar. More schedule-friendly: Lots of people are unable to attend weddings due to scheduling conflicts. During the summer months, it’s not uncommon for someone to potentially multiple weddings to attend in a single weekend. By scheduling your wedding in the morning, it is more likely that your guests will be able to attend without any scheduling conflicts. No rush: Many venues have a specified time in the evening when you have to be out. With a morning wedding, you may not be as rushed, and you can simply enjoy your special day without any pressure. Great lighting: In the morning, the sun is at the perfect place in the sky to give off incredible natural lighting for photos at your event venue in Northwest Indiana. In addition, the mild weather in the morning allows you to have an outdoor summer wedding without forcing your guests to endure excessive daytime heat. In some cases, a morning wedding can come with some disadvantages. Some service providers and vendors may not offer service in the morning. In addition, you will likely have to get up early on the day of your event, which can be a challenge if you aren’t naturally an early riser. It’s important to think about the specifics of your situation to determine whether a morning wedding is the right choice for you. Plan your summer wedding at a gorgeous venue where you can truly enjoy the natural lighting and the mild weather. 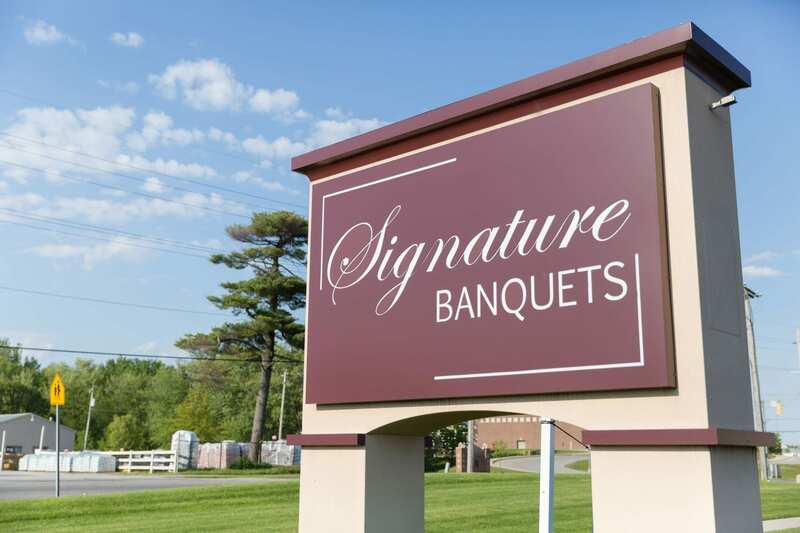 At Signature Banquets, we are here to make all of your dreams for your wedding become a reality. We are an event venue in Northwest Indiana with considerable experience accommodating guests with beautiful event spaces and helpful services, including gourmet catering and in-house wedding planners, to create an unforgettable wedding experience. You can tour our facilities, find out more about our services and arrange a consultation by calling us or sending an email.